The University of Utah Skatin’ Utes made the trip to Provo last weekend to defend their Wasatch Cup title and came away with the trophy for the third straight time after beating a pair of in-state rivals. On Friday night, the Utes took on the Weber State Wildcats for the first time in the tournament in the first semifinal of the weekend. David Barnes scored five minutes into the first period to give the Utes a 1-0 lead, but the Wildcats would answer with a power play goal seven minutes later to tie the game up at 1-1 after the first period. The second period saw only one goal, a power play goal by Weber State as the Wildcats took a 2-1 lead after the second period. The third period saw the Utes come to life as Cody West tied the game up off a pass from goaltender Patrick Kasper to make it 2-2 just three minutes into the period. The offense wasn’t done as Brett Myer scored twice and Alex King and Tristen Leberknight also found the back of the net as the Utes scored five unanswered goals in the third period en route to a 6-2 win over the Wildcats in the semifinals. The win was the eighth in a row over the Wildcats for Utah as they moved on to the championship game for the third straight time in the Wasatch Cup Tournament. Patrick Kasper picked up the win for the Utes stopping 26 of 28 shots in the game. The Utes outshot the Wildcats 47-28 in the game. In the final the Utes would take on the Utah State Aggies for the third straight time as well, after the Aggies beat the BYU Cougars 3-0 in the other semifinal. The Aggies would strike first in the championship game as Alex Herman scored with 7:39 left to go in the first period to give Utah State the 1-0 lead. Utah would have an answer later in the period as Josh Dangel scored on the power play to tie the game up at 1-1 as the first period ended. In the second period, it was the opposite of the first as the Utes would strike first off a pass from Nick Fornelius to a wide open Alex King in front of the net to give Utah a 2-1 lead. But the Aggies would respond later in the period with a power play goal of their own to make it a 2-2 game as the horn sounded to end the second period. Much like the semifinals on Friday, the Utes offense came to life in the third period against the Aggies as Nick Fornelius tipped a David Barnes shot into the back of the net to give the Utes a 3-2 lead 3:03 into the third period. Fornelius would get his second goal of the night halfway through the period as he put in a rebound off a shot from King to make it a 4-2 game with 9:27 left in the game. 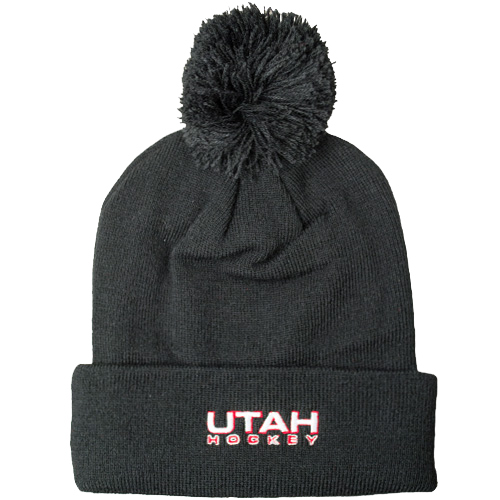 Dangel would score his second of the game with 6:02 left to make it 5-2 and then Fornelius scored his third of the game for the hat trick with 4:55 left to make it 6-2 Utah. With his three goals in the game, Fornelius became the first person to score a hat trick in the championship game in Wasatch Cup history. The Utes would close out the final minutes and skate away with the 6-2 win and claim their third straight Wasatch Cup title. It was the 10th straight win for Utah over the Aggies and the wins this weekend pushed Utah’s unbeaten streak over in-state teams to 22 games as the Utes finished the season 10-0 against the state. Kasper picked up his sixth win of the season with a 27-save performance in net for the Utes. Utah outshot the Aggies 47-29 in the game. The Utes will hold on to the trophy for another season as the tournament will head to Logan next year when Utah State will play host. The Utes wrapped up their Division II schedule with the weekend as well as they finished the season with a 13-0 record against D2 teams. Utah now sits at 17-7 on the season with just six games remaining. The Utes return home this weekend for the first ever Division I games in Salt Lake City as the Utes take on #9 Jamestown this Friday and Saturday.